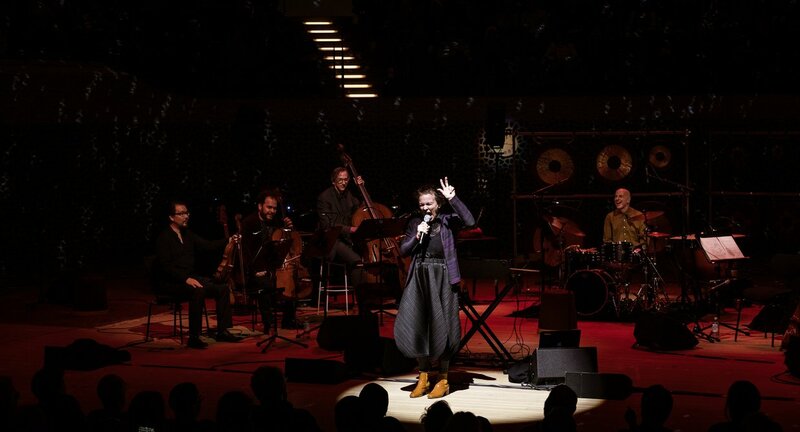 Storyteller, hypnotist, miracle musician: Laurie Anderson took over the helm at the Elbphilharmonie for four days. 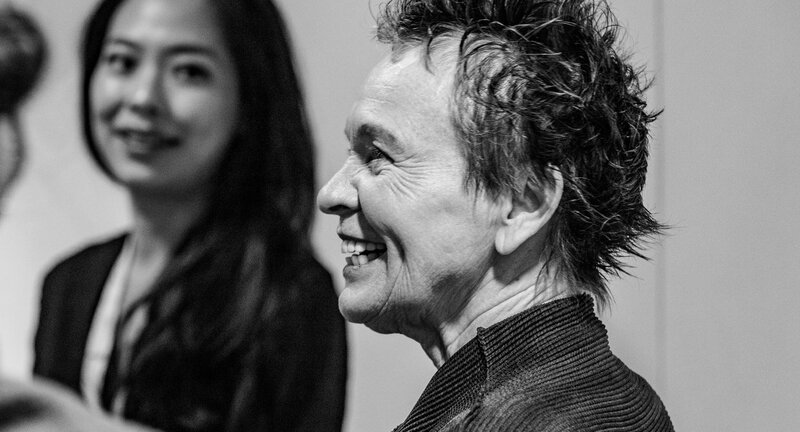 Laurie Anderson is a musician, film-maker, author, performance artist, painter and inventor of electronic instruments. Whatever she touches, turns into a creative work of art. 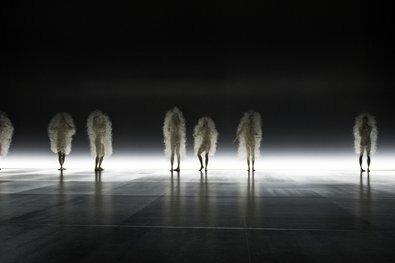 She first caused a stir in the 1970s in the New York art scene, and she's been two steps ahead of her time ever since. 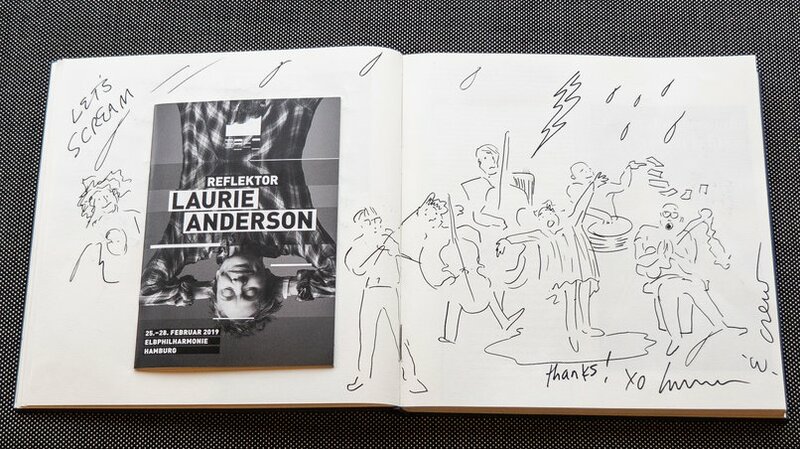 But for all their diversity, all Laurie Anderson's works have one thing in common: they tell stories. 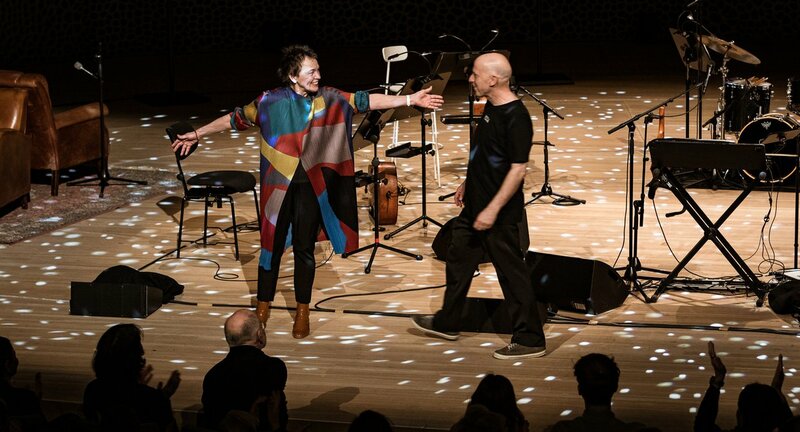 And at her Reflector week at the Elbphilharmonie, Laurie Anderson once again created works of art out of music, poetry and pictures – together with musician friends of hers from every genre. 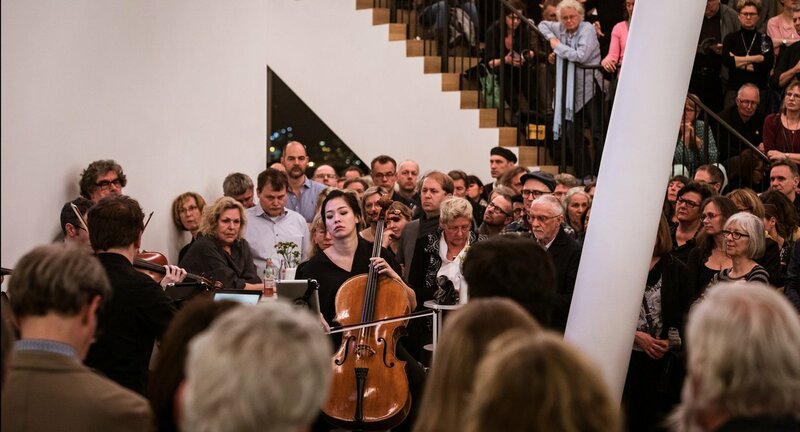 The »Reflector« series gives selected artists a symbolic key to the Elbphilharmonie. In other words, they decide what the programme will be. 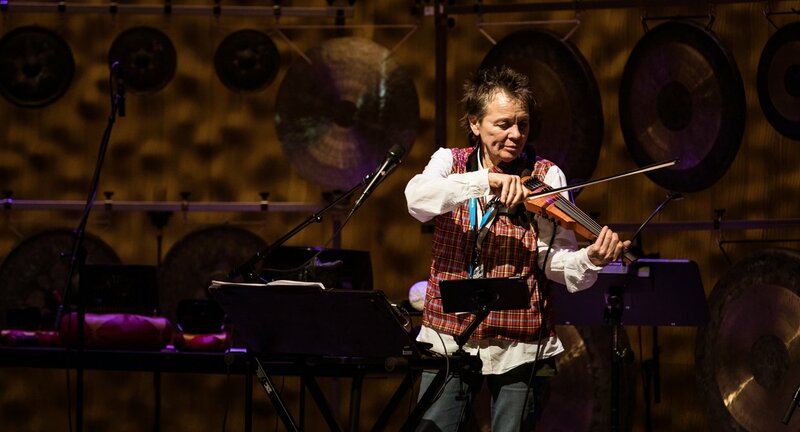 Laurie Anderson opened her Reflector week with a evening of profound spirituality: her hypnotic voice mingled in the Grand Hall with the rumble of gongs, with an electrical violin, string sounds and the chants of Tibetan musician Tenzin Choegyals. 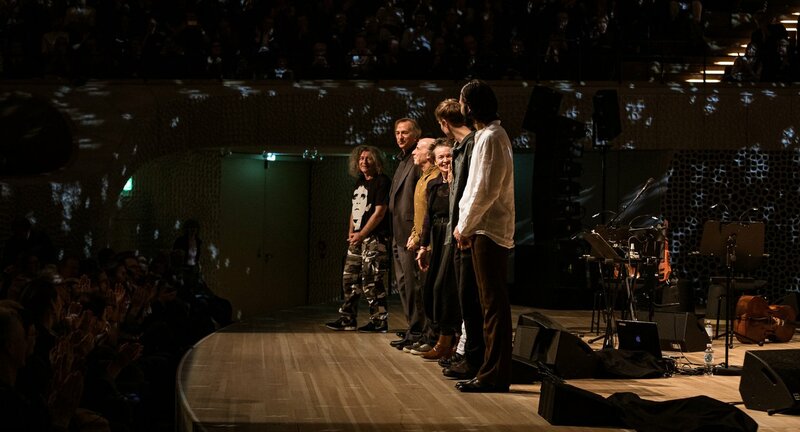 The meditative musical journey revolved around the Tibetan Book of the Dead, Bardo Thödröl, which describes the state of the human soul after death. The Buddhist artist focuses on the subject of transience in her enigmatic and often heart-breaking film »Heart of a Dog«. The film, which has a dreamlike quality, was inspired by the death of Anderson's beloved dog Lolabelle in 2013. »Heart of a Dog« constantly mixes art with reality. Memories of her own mother, of Lou Reed, childhood pictures and the way a dog sees the world merge with drawings and visions from the Buddhist realm of the dead. 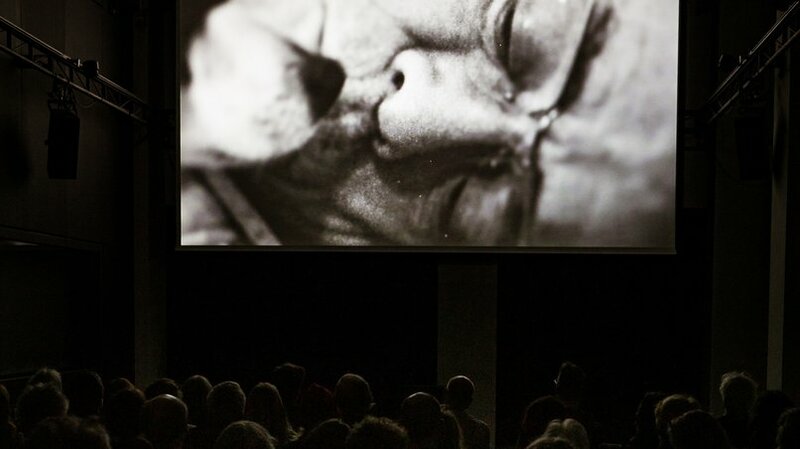 According to Anderson's film, the meaning of death is »to release love«. 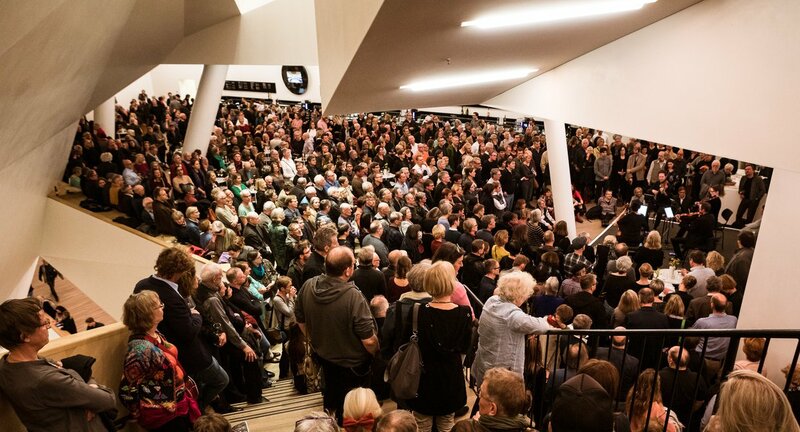 A meditation on life on many different levels: political, deeply personal, universally human. 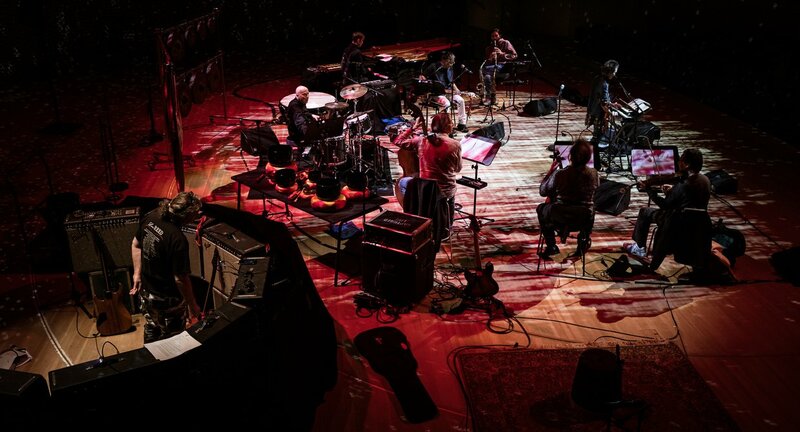 Present in spirit was also Laurie Anderson's husband Lou Reed, frontman of the band Velvet Underground, who died in 2013: using original guitars and amplifiers that belonged to the great rock musician, the installation »Listen Behind You« made drones, i.e. 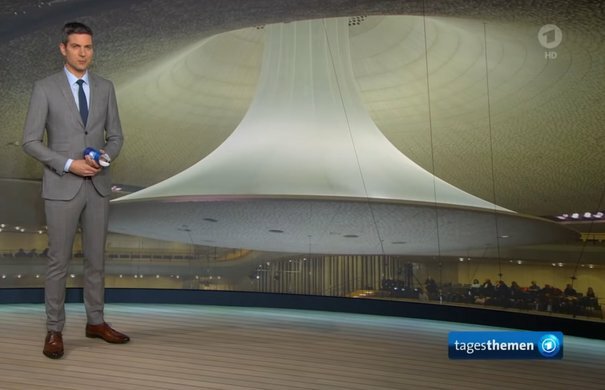 feedback waves, waft through the Elbphilharmonie's Kaistudio. And present in person was none other than Lou Reed's guitar technician Stewart Hurwood. I've been attracted by drones, i.e. 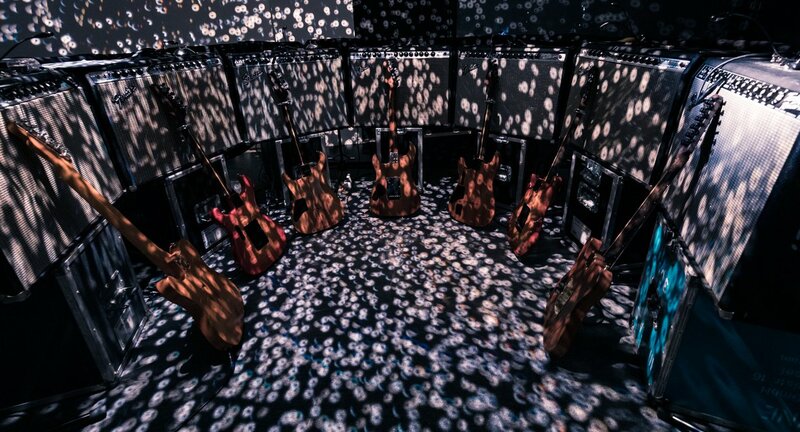 feedback loops from electric guitars, for a long time now. They clear out, relax and focus my senses in equal measure. 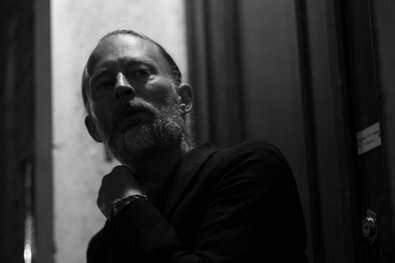 They are a source of pure meditation for me. 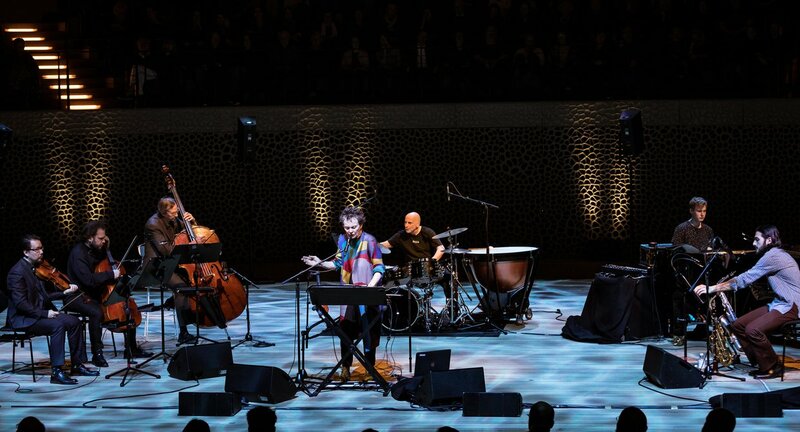 Losing oneself in the music, relinquishing control in order to attain complete artistic freedom – the concert »Lost« in the Elbphilharmonie Recital Hall followed this principle with improvisation in the truest sense of the word. 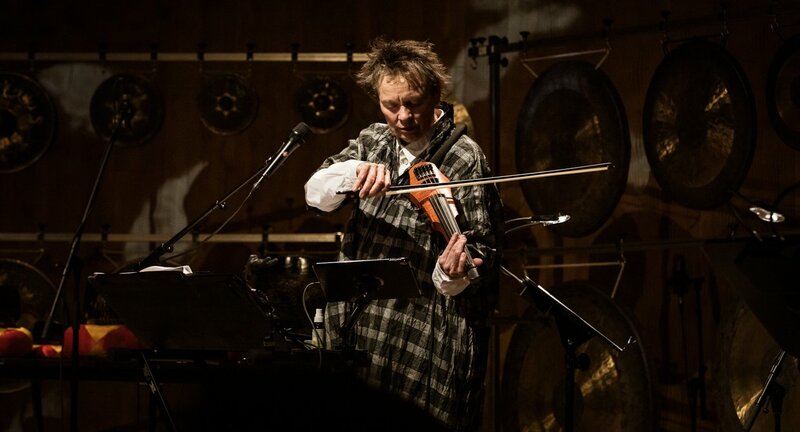 Laurie Anderson joined forces here with cellist Rubin Kodheli, one of today's most visionary artists on his instrument, with whom she has been playing for three years now. 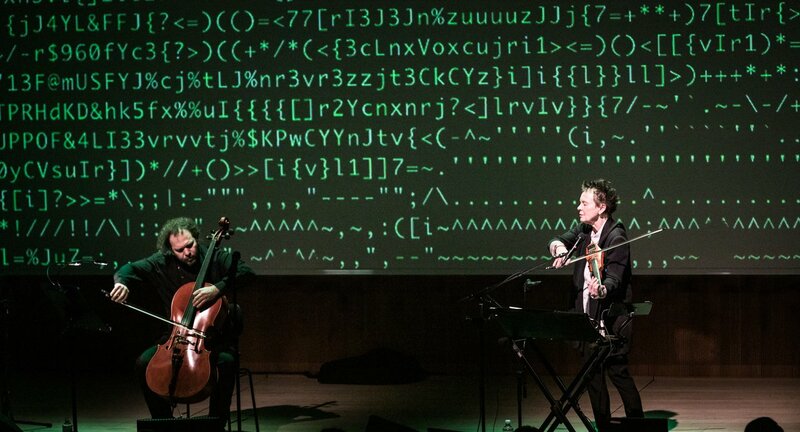 The flow of their playing was inspired by pictures projected on to a large screen, varying from real landscapes to abstract shapes. 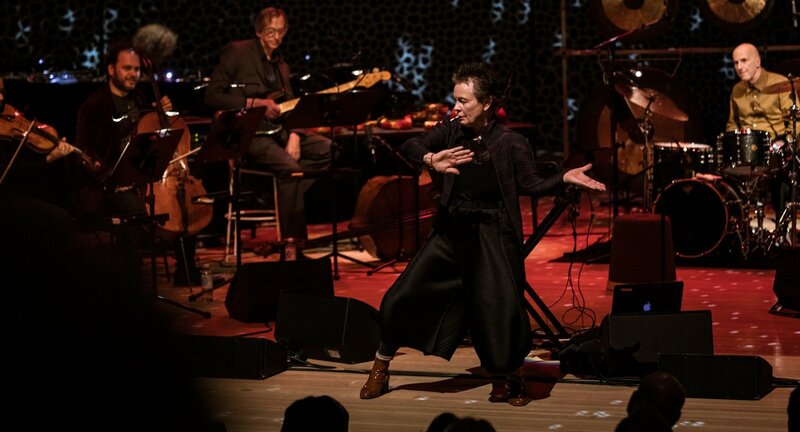 Laurie Anderson brought a larger ensemble on to the stage to perform the piece »Scenes from My Radio Play«, which mixes personal stories, American politics and reflections on the state of society. 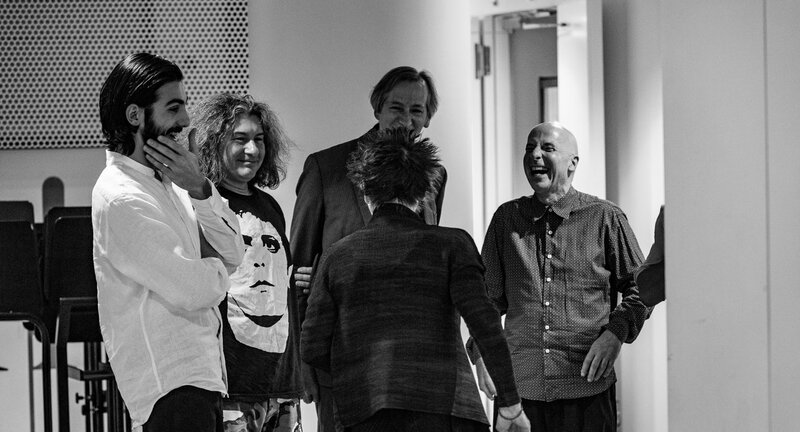 The background is that Anderson felt that the core of her existence as an artist – her stories – was under threat during the US presidential election: »Everyone was telling his or her own story. Rumours, lies and fake news threw everybody off kilter and produced even more stories, until one day we noticed we were in danger of drowning in our own stories«. 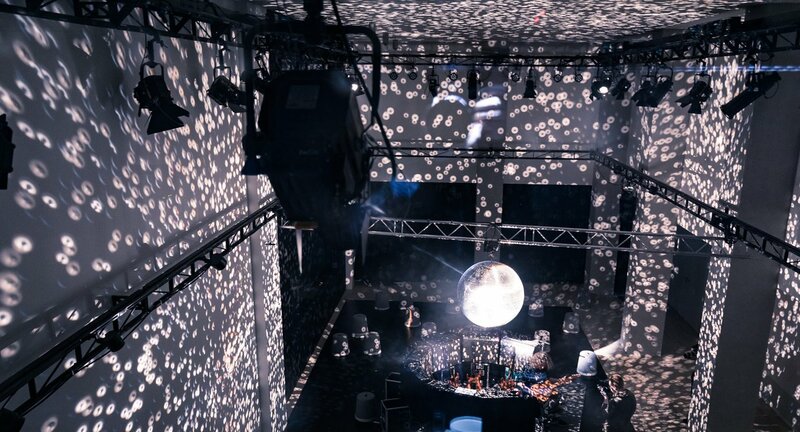 This prompted Anderson to create various stories in her live radio play that she then set about changing before the audience's eyes, playing with time and memory – inspired by sound artists, musicians and visual artists. Geometric shapes, minimalist structures and bright colours are the hallmarks of American artist Sol LeWitt (1928–2007), who had a significant influence on Laurie Anderson's own development. LeWitt was a leading representative of so-called »conceptual art«, which places not the work of art itself, but the underlying idea to the fore. 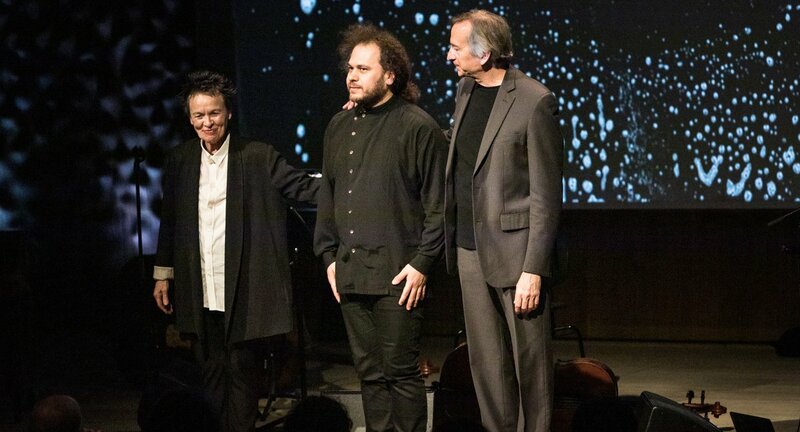 Back in 1972, Laurie Anderson had already dedicated a string quartet to LeWitt. 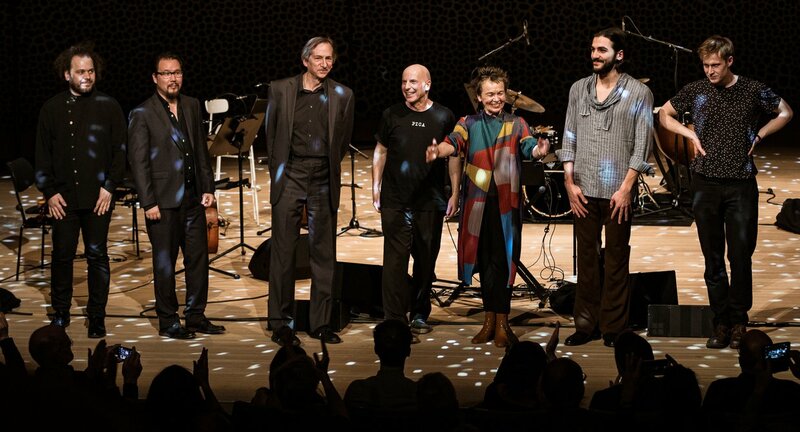 Members of the Ensemble Resonanz performed this work, which is based on minimalistic techniques, in the foyer. 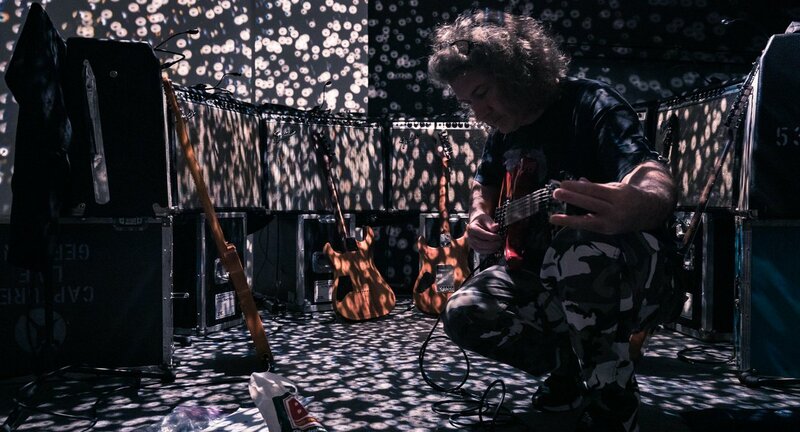 The special challenge involved is to imitate on the classical instruments so-called drones, feedback loops that really belong to the sound arsenal of electric guitars. 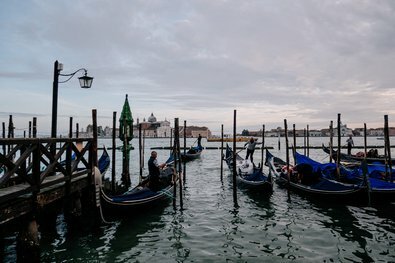 Improvising feels as if we were building a big ship that floats above us in the sky, a vessel that we can turn this way and that as we please, on which we can sail away. 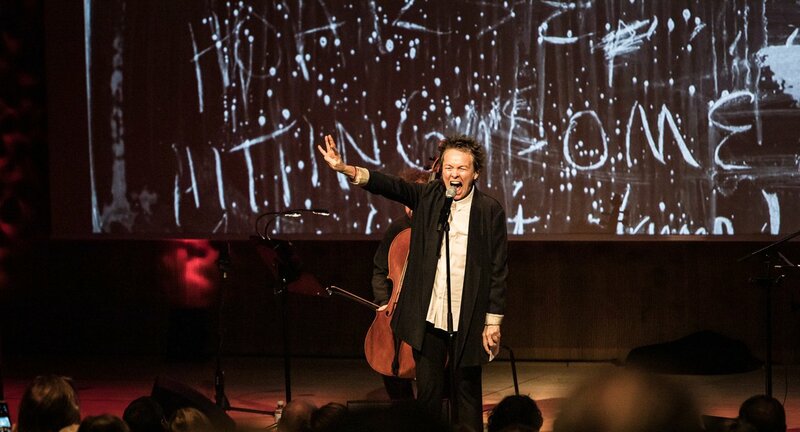 To end her series of performances, Laurie Anderson bathed the Grand Hall – as the concert title suggests – in an ocean of sound. Here, too, her playing was improvised, even though the 71-year-old says herself that she is fairly new to the field. 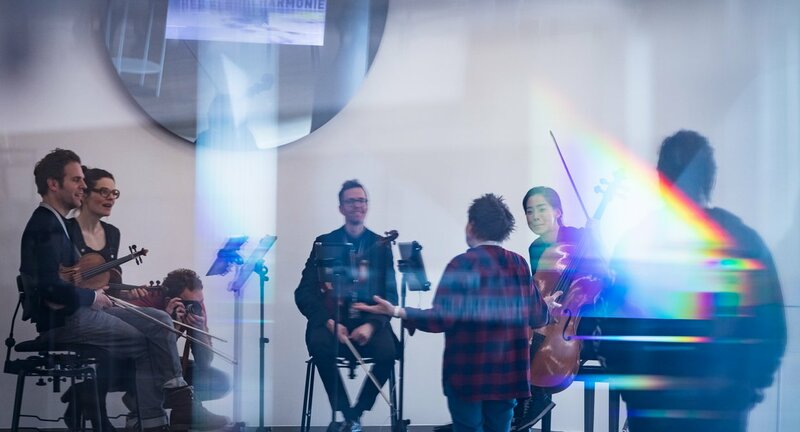 She admits that she found herself panicking before her first improvisation ten years ago with American bandleader and composer John Zorn: Who was going to play the first note? Which key should she choose? 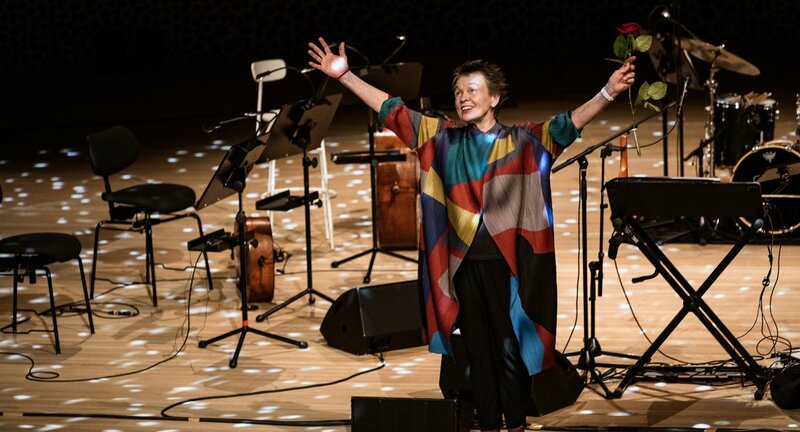 »As soon as the concert started, I was overcome by a sense of freedom, and since then I've loved to improvise. 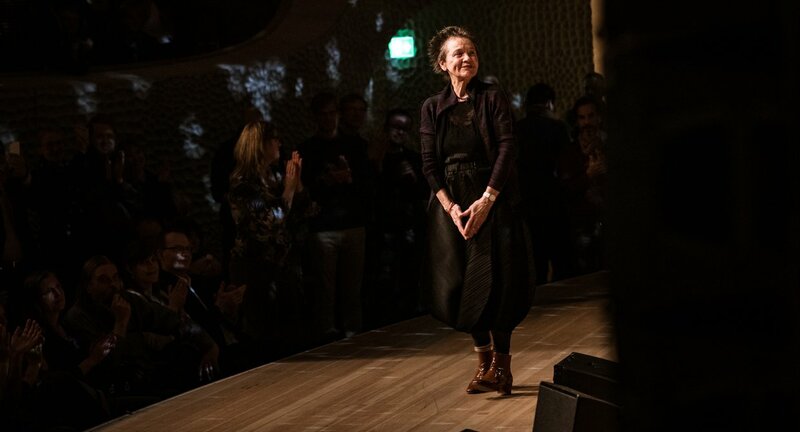 It feels as if we were building a big ship that floats above us in the sky, a vessel that we can turn this way and that as we please, on which we can sail away.« Anderson describes it as an intoxicating feeling, and she bade farewell to Hamburg with one last ecstatic and meditative celebration of the moment. 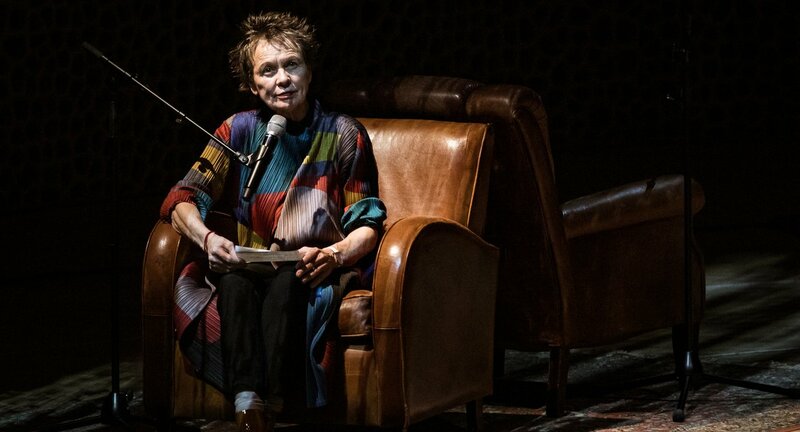 Laurie Anderson is an artist through and through – even off the stage. 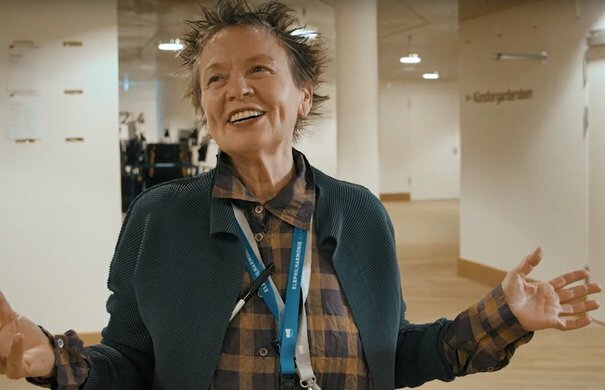 This was revealed in her entry in the Elbphilharmonie's artists' guest book.